How to convert MKV to iMovie, import MKV to iMovie on Mac? How to convert MKV to iMovie on Mac? "hey, I have a .mkv video file I am trying to import into iMovie. The file is 1.4GB, and if I drag it into iMovie, its freezes. any ideas?? thanks?" MKV (Matroska Video) is a popular format for online video distribution (particularly through BitTorrent networks and all). It is an open and free container format. One of its advantages is that it can keep a number of video, audio, picture subtitle components in just one file. Importing MKV to iMovie is not straight-forward when you are attempt to drag and drop the MKV files into iMovie for editing. iMovie supports videos well in MPEG-4, DV, MOV, but MKV video. To import MKV to iMovie on Mac, you need convert MKV to iMovie compatible format (MP4 is recommended). Most solutions online require Quicktime Pro or Perian, or has severe restrictions regarding the encoding types allowed within the .mkv container format . Well, this guide shows you two solutions on converting MKV video files to iMovie files with free software Handbrake and powerful Video Converter for Mac from iFunia. 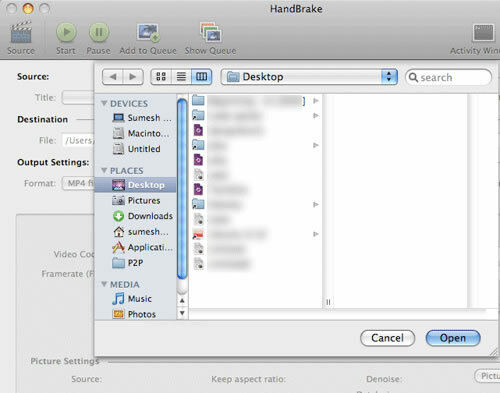 The latest version of Handbrake (0.93 or above) allows MKV source files. Then, you can convert the file to various supported formats like any other conversion using Handbrake. Note that Handbrake may have to re-encode and/or re-compress videos, and if this is the case, be prepared to leave your Mac on for processing for a considerable amount of time, as it will be time and resource-hungry. Download Handbrake, open Handbrake, and you will be asked to enter a source. Select a MKV file, set destination and MP4 output and click "Start" to continue with the conversion process. Compare to Handbrake, iFunia Video Converter for Mac can work as a more powerful and easier Mac MKV video conversion software that can convert MKV to any video formats including MP4, AVI, MOV, FLV, etc. This Mac video converter can also rip DVD to different formats, compress videos and audios, download videos from YouTube and 1000+ other websites, burn videos to DVD and edit videos. Step 1. Run iFunia Video Converter for Mac on your Mac. 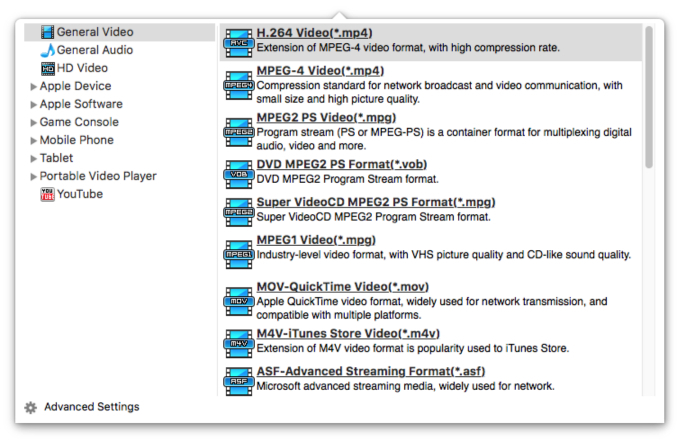 Drag and drop MKV or HD MKV video files to the interface. You can also click the Media Browser icon at the upper right corner to import MKV video files from Folder, iTunes and Device. To batch process MKV videos, you can import multiple files. Step 2. Select MPEG4(MP4) as the output format for each video file. Step 3. Click the conversion button to start converting MKV to iMovie. The convert progress bar shows you how much of the encoding is completed. Note: This video converter for Mac fully supports Version 5, OS X 10.10 +, including macOS High Sierra. It allows you to manually set video resolution, bite rate, codec and frame rate to get perfect output videos.